Lansing Adoption Attorney | Adoption Attorneys in Lansing MI | Foster & Harmon P.C. Lansing Adoption Attorneys | Foster & Harmon P.C. The Lansing adoption attorneys at Foster & Harmon P.C. 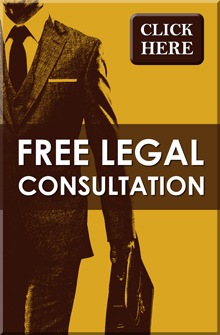 know the law thoroughly and excel in representing clients who are looking for adoption and family attorneys. If you are considering adopting a child, our experienced Lansing adoption attorney, Richard Foster, can advise and represent you through all stages of this complicated process. A direct placement adoption is authorized by Michigan Statute, MCL 710.23(A) which allows a parent of a child to make a direct placement of a child for adoption. The parent may make a temporary placement of the child with the adoptive parents which then becomes a formal placement when the court orders the termination of the rights of the parent or parents. The baby can go home directly from the hospital with the adopting parents without the need for foster care. 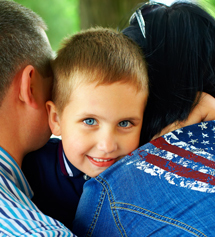 A parent is able to personally select a prospective adoptive parent in a direct placement adoption. This allows the birth mother to have a choice and some control over where her child is placed for adoption. This allows the birth mother the confidence to have a say in the future of her child. Our Lansing/East Lansing adoption attorney can help you as either the birth parent or adoptive parent get the process started. In a direct placement adoption the prospective adoptive parent shall provide information about themselves to the parent before placement. This is called a pre-placement assessment or home study. A pre-placement assessment is based upon personal interviews and visits of the prospective home and interviews of others who know the adoptive parents. This report needs to be completed before the child can be placed with the adoptive parents. Therefore this is the first step in the adoption process. Our Lansing/East Lansing adoption attorney can provide you with a list of agencies that will complete the pre-placement assessment for you. It is recommended that both the adoptive parents and theEast Lansing Law biological parents receive counseling prior to the adoption and it is recommended that both participate in adoption support groups. The biological parents will need to disclose at the consent hearing that they were advised about counseling and that they either received counseling or waived counseling, and that they were given a list of support groups. Usually the agency that completes the pre-placement assessment will also offer counseling services. Our Lansing/East Lansing adoption attorney can provide you with a list of counseling services for either the birth mother or the adoptive parents. The biological parent may make a temporary placement of a child provided that certain requirements are met. Our experienced East Lansing and Lansing adoption attorney can explain to you the requirements that are required by Michigan law, before a temporary placement can take place. Prior to placement of the child for adoption, the parent shall compile and provide to the adoptive parent certain non-identifying information that is not made confidential by state or federal law, such as family background, health history, and other information that is helpful to the adoptive parents. Our Lansing adoption attorney can provide to you more specifics as to the type of information that the biological parents must disclose. In addition to the non-identifying information, the biological parents must also provide identifying information to be confidentially held by the court. This information may, but is not required to be shared with the adoptive parent. Therefore depending on the choice of the parties, information about the biological and adoptive parents can be kept either private (closed) or non-private (open). The next step is to have the biological parents appear in court before the judge to sign a release of parental rights. They will need to sign a form indicating that they are aware of and understand their rights as parents and acknowledge on the record that they understand those rights and they voluntarily consent to the termination of their rights. The release of parental rights must take place in front of a judge. This is an informal hearing and the adoptive parents do not need to attend. After the termination of parental rights, the court will issue an order for formal placement, pending the final adoption order. The court may not withhold an order for formal placement despite a petition for re-hearing or appeal having been filed. Therefore, the formal placement will continue while the re-hearing and appeals processes run their course. During this time period, the child shall be supervised during the period before entry of the order of adoption. The court may order the agency who performed the pre placement assessment or an agency through the court to supervise the placement. Six months after the formal placement, the court may enter an order of adoption unless circumstances have arisen that make the adoption undesirable. Our Lansing/East Lansing adoption attorneys can answer questions about the complete adoption process, including rights to re-hearings, appeal, and when a final order of adoption is truly final. In Michigan, in certain cases a step parent can adopt a step child. If the biological parents are divorced, or in some cases where they were never married, and the custodial parent has remarried, the custodial parent and their spouse can join in a petition for adoption. The non-custodial parent can consent to have his/her parental rights terminated, and the step parent can proceed with the request to adopt. If the biological parent has not substantially visited or supported the child for two years or more, the court can terminate their rights in a step parent adoption proceeding without the non-custodial parent's consent. The non-custodial parent's rights are terminated in a court proceeding, either by consent or by court order if there has been no support or visitation for two years or more. In most cases the step parent and the biological parent must be married for at least a year before the adoption can be finalized. After the petition for adoption is filed, a home study is completed to make sure that the adoption is proper. After the termination proceeding and after the home study, the adoption can be finalized. The custodial parent and step parent appear in court with the child in a closed proceeding, and the judge issues an order for a final adoption. This is usually a very emotional and happy time for both the parents and the child. Our Lansing/East Lansing adoption attorney can help you with any questions about a step parent adoption, and can guide you through this process. A relative adoption is one in which a parent or guardian having legal and physical custody of a child may make a formal placement of the child for adoption with a relative. Michigan adoption law defines a relative as someone who is related to the child within the fifth degree, by marriage, blood, or adoption. Relative adoptions are usually less complicated, and do not require as much investigation as direct placement adoption, and usually requires less paper work. This type of adoption is less complex due primarily to the fact that there is a relationship between the parent and the relative and that relationship usually is familiar to the child. If a relative is related by more than the fifth degree, a direct placement adoption is still an option. Our adoption attorney can help you understand if your relationship is within the fifth degree and can help explain the process of adoption.